With 2015 behind us, the prospects of significant improvements in commodity prices or input prices in 2016 have begun to fade. The fiscally tight conditions faced at 2015 spring planting, when economic losses were common in budgets across the Corn Belt and Plains, will likely feel all too familiar as planning for 2016 begins. Just as a hiker’s footing is critical for the challenging leg of a hike, now is the time for you to evaluate your current situation and secure your farm’s financial footing heading into 2016. If you spend time preparing and planning for 2016, you will help position your operation to survive – or even thrive – into the future. To help you, here are nine tips for securing your farm’s financial footing. 1. Stay laser-focused on costs. The first step to a successful start for 2016 is knowing your cost of production. You should have a working budget that is regularly updated as input prices are locked in. While many producers only consider variable expenses (such as seed, fertilizer, and crop protection) when budgeting, these expenses are a fraction of the total. 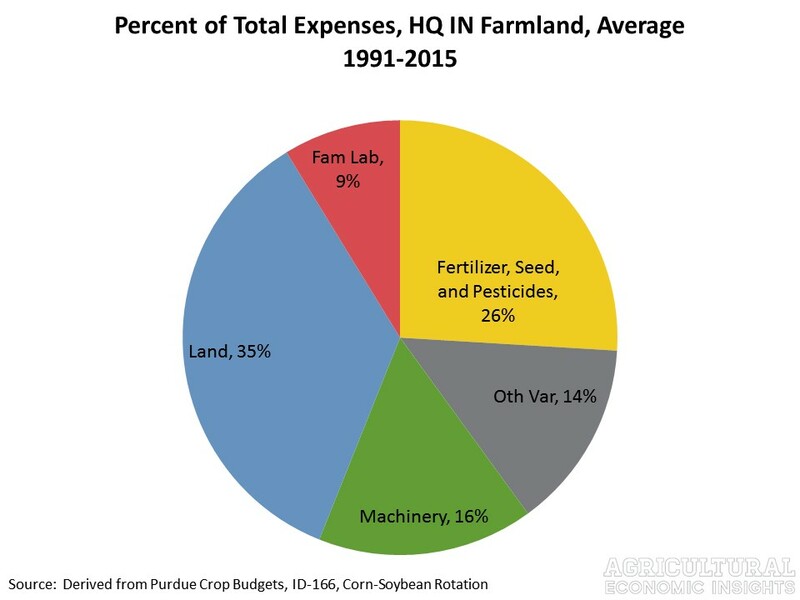 In the Midwest, the average total budgeted cost of corn and soybean production from 1991-2015 was comprised of 40% variable expenses and 60% fixed expenses. In the current environment, you need to evaluate and manage all expenses. Clearly achieving significant cost reductions requires careful attention to fixed costs. In addition to careful budgeting and close evaluation of costs, run multiple iterations of your budget under different scenarios. Consider what a worst-case scenario and a best-case scenario look like. 2. Manage working capital. While it sounds very formal and complicated, at its simplest, working capital compares your operation’s current cash assets (cash and assets that will be converted into cash within a year) with its current financial obligations that are committed and due within the next year. The optimally positive gap between the current assets and the current liabilities is your working capital. Working capital is always important but especially during times of tight margins. If your operation experiences negative margins (losses), working capital is used up (or burned) to keep the operation going. With negative margins and too little working capital, you will likely find yourself in financial stress. Those who carefully monitor their working capital might also keep track of their working capital burn rate. To calculate, use your worst-case budget scenario and see how many years of losses your working capital could cover. 3. Pay attention to debt repayment capacity. While it seems like everyone has been talking about working capital, debt repayment capacity and the debt coverage ratio have received less attention. Debt repayment capacity measures the amount of cash flow that the farm has available to service term debt. The debt coverage ratio divides debt repayment capacity by scheduled term debt payments and interest. These measures allow you to consider how easily you will be able to meet scheduled debt payments. For farms with a tight debt coverage ratio, changes are necessary. Solutions may involve reduction of total debt or extending terms on existing debt. Farms with comfortable debt coverage and inadequate liquidity (working capital) may benefit from refinancing to provide liquidity. Bankers will watch debt coverage closely, so talk with your lender about your specific situation. 4. Pursue good deals with discipline. Heading into 2016, you are likely to come across several good deals. For example, in response to the general tightening of the agricultural purse strings, good deals on land and equipment might begin to surface. Be disciplined! It is important to consider your farm’s priorities and financial capacity before committing to new obligations. Having these identified at the onset will make sorting through opportunities much easier. For example, realizing that a combine upgrade is needed and financially feasible allows you to focus on pursuing a combine acquisition. Otherwise, you might find yourself buying a piece of land that was never a priority and committing the financial resources needed for a higher priority upgrade. 5. Scout and crunch. If there are two things that you should invest more resources into, it is scouting your fields and crunching your financials. When the weather and agricultural economy are unfavorable, these are not fun activities. Yet, they’re often the most valuable way you can spend your time. In recent years, a surge in technology-fueled products and services has become available to you. From UAVs to software and apps, these technologies can all be helpful and create insights for those of you who are looking to improve your scouting or number crunching. While these tools can be helpful, it’s important to consider which areas of your operation need the most improvement before investing in more tools. Otherwise, you may find yourself with more tools than you can manage, and some of the tools may not have the capacity that you were really looking for. Stay focused on your farm’s needs and objectives, not the products or services features. In short, tools are just tools. Figuring out what questions need answered is likely the most important part of your analysis. 6. Manage lending relationships. Recent data released from the Kansas City Federal Reserve Bank notes an uptick in the number of farm loans being issued. The largest share of these new loans is for operating lines. Additionally, loan volumes from operating loans in 2015 are up 25% from last year. Now is the time to meet with your lender and discuss your situation and future plans. Bad surprises will likely be stressful for everyone involved, given the general agricultural economy. Maintain an open and proactive relationship with your lenders and be prepared to bring solutions or suggestions for solutions to current challenges to the table. 7. Don’t forget about price risk. While the low grain commodity prices are worrisome alone, it’s important to keep price swings in mind. Just this summer, commodity prices surged higher and were immediately followed by a steep drop. The swings approached $1 per bushel for corn. We’ve seen these low price levels before, and we’ve seen this level of price volatility, but rarely have they occurred at the same time. Carefully consider what prices you need to make your financial situation work. When they are available, make sure to act. Even a few days of procrastination were quite costly for many producers this summer. 8. Manage risk beyond crop insurance. Crop insurance is an important risk-management tool for you, but its ability to serve as a complete risk-management solution has been eroded with lower general price levels. In recent years, it was possible to have a crop insurance guarantee that would cover most, if not all, costs. This level of protection is not currently available. As commodity prices have fallen, so have guarantee levels. While production costs have started to slowly come down, they have been stubbornly high. This creates a situation where crop insurance covers a much smaller percentage of total expenses. Compare your total cost of production with your coverage levels to see how much exposure you face. This is also an important consideration when evaluating what level of working capital is appropriate and what constitutes acceptable selling prices. 9. Consider alternatives. It may be time to evaluate your crop rotations. This can be especially true in areas where alternative crops may be more economically attractive. Just as high prices brought several additional acres of corn and soybeans into production, lower prices create the need to remove acres from production. You may want to consider whether your equipment set is the right complement for your current size. Finally, you may want to consider the profitability associated with your various leases and owned farmland. Making a hard choice today may position you for better opportunities tomorrow. As you face a third year of lower incomes, 2016 will likely be a challenging year. Those in agriculture are very aware of the cyclical nature of farm profitability and, unfortunately, we’ve entered the challenging phase of the hike. Taking some time to really focus on improving your farm’s financial footing will help ensure that you are positioned to participate in the better financial times likely to come at some point in the future. By sticking to the basics, you can get by – and even prosper – in the future.